Integrated Consulting Group – Telecommuting – Is It Right for Your Business? 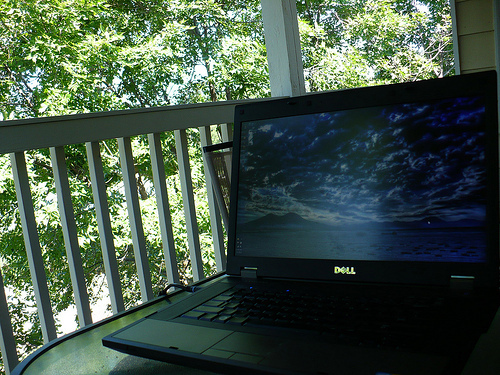 Telecommuting – Is It Right for Your Business? Many potential employees are drawn to jobs with flexible hours and work arrangements. With the advancement of technology, one of the flexible work arrangements available is the ability to telecommute to work. Some employers have criticized telecommuting, finding it difficult to measure the number of hours the telecommuter works because he/she isn’t physically in the office. On the other hand, time spent in the office is not always productive. For example, once a worker is interrupted at the office, it can take over 23 minutes to regain focus on the original task. Saving money: It’s much more cost-effective to have telecommuters on your payroll. You save on office space costs, parking, and traveling, just to name a few. Retention: Telecommuting offers employees flexibility. It’s easier to retain talented employees who are trying to juggle work, family, and other obligations, or for those who don’t want to relocate their families for a new job. Hiring is tough enough as it is–why limit yourself to people only in your city? It’s easier than ever: If your employee has a computer and access to the Internet, they can telecommute. You can have your employees from around the world skype each other at any hour of the day, and they can work together on projects from the convenience of their own home office. Department morale issues: If you have both telecommuters and traditional office employees on your payroll, the traditionals might be upset that they aren’t allowed to telecommute. It’s also possible that the traditionals don’t feel that the telecommuters are pulling their own weight. Security: Keep in mind that not all jobs allow sensitive information to be sent to home computers. Brainstorming sessions: Impromptu meetings and brainstorming sessions are important to generate ideas on projects. It’s easier for your boss and co-workers to bounce ideas off each other when everyone is together in the office than it is to make a phone call or send an instant message to a telecommuting employee. It isn’t to say that a telecommuter can’t be called or skyped into a meeting, but it is much easier to gather an impromptu meeting of employees already in the office. It’s important to decide whether or not telecommuting is right for your business. Perhaps only having a small percentage of your employees telecommute is what’s best. Or, maybe your telecommuters only work two days a week at home and on the other three days, they come in.